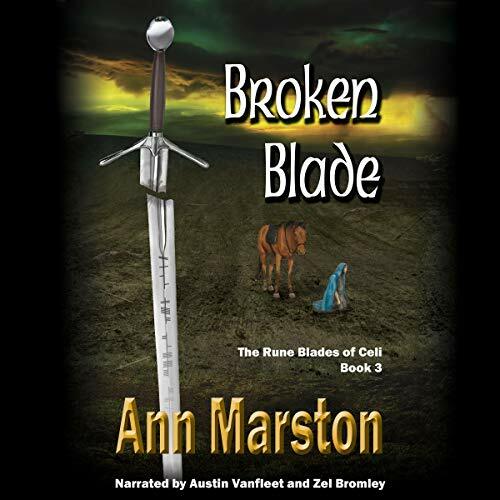 Book 3 in the Rune Blades of Celi series. A kidnapped princess and a clanless man share a terrible secret - the dark powers of Maedun are preparing a new assault on the shinning Isle of Celi. Using stolen Celae magic, the sorcerer Hakkar plans to rip down the veil of enchantment drawn about the island kingdom. Only the great sword Kingmaker can save the land. Until it, too, is shattered. Brynda, daughter of Keylan, must teach her Rune Blade to sing death's song or Maedun's Somber Riders will claim all Celi for their own! This was a great final book of the trilogy. It picks right up where book 2 left off and sucked me right back into the story. The narration is done well. The ending wasn't completely satisfying, but well enough that I don't feel too frustrated. All in all, I think this trilogy is very much worth picking up.